Caitlin Press Inc., 9781987915785, 96pp. Growing up during the 50s and 60s in small town Alberta, Pam was keenly aware, by the age of nine, that she was a lesbian. And she also knew well to hide this about herself. Pam would search for books on the "The Island of Lesbos", only to return from the library with a copy of Little Women. In between the vast spaces of dust and dugouts, she grows up and grows old, playing her saxophone in deep, blaring notes. Age is a constant marker throughout these poems for an otherwise long and lonely time of waiting for queer rights, for acceptance, for love. Poet Tina Biello unearths just about everything from beneath the Alberta ground—dinosaur bones, a family’s firstborn, missing cows. A voice from within the Prairies, Playing into Silence is a look back at a dry time in lesbian identity. 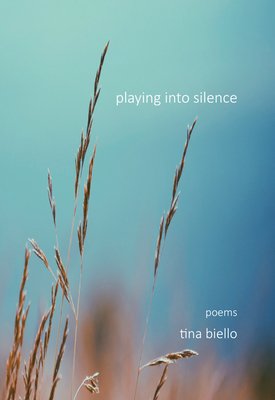 Tina Biello comes from a small logging town in BC, and is born of immigrant parents. She studied theatre at UBC and is an actor and now a poet and playwright. Her poems have appeared in chapbook anthologies edited by Patrick Lane since 2008. Her first full-length book of poetry, In the Bone Cracks of the Walls, published by Leaf Press Spring 2014, was shortlisted for the Bressani Prize and was part of a multi-disciplinary art exhibition of poetry, watercolour and music in Montreal, Vancouver and Italy. She has had poems set to music by composers from Vancouver, Montreal and Cape Breton. Her second full-length book of poems, A Housecoat Remains, was published by Guernica Editions, September 2015. She is currently Poet Laureate of Nanaimo.